I can believe it’s Sunday already. How has another week flown by? As I mentioned in my last post, Sunday in the fall means football day at our house, and while I may not be watching the game, I’m definitely eating the food. 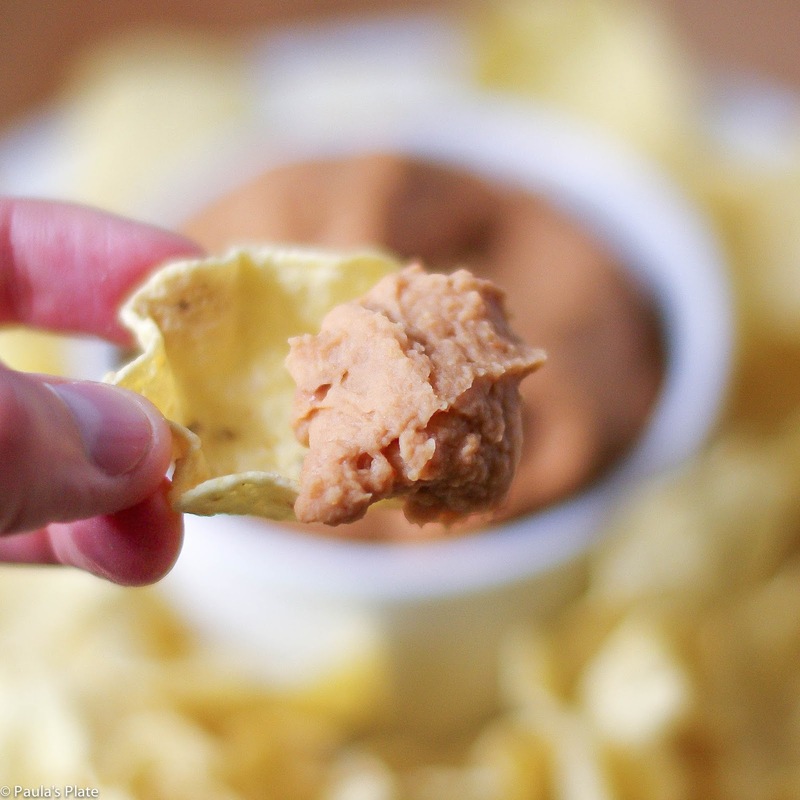 Today I am excited to share with you a super simple, incredibly delicious bean dip that is reminiscent of the Frito’s bean dip you can find in a can – only better because you know exactly what you’re eating! 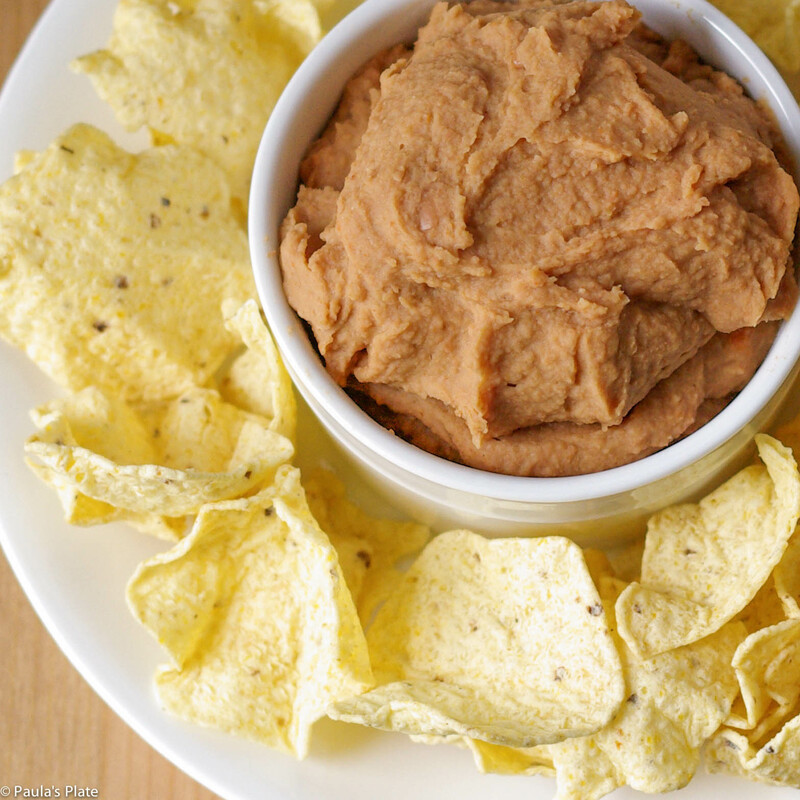 The dip comes together in less than 15 minutes, and is made entirely with pantry ingredients. What more could you ask for? Oh yeah, it’s also filled with protein, fiber, and is gluten free. Score! Paula’s Note: You can easily control the spice level by simply up-ing the chili powder and/or cayenne pepper. Seeing as I find ketchup to be just the right spice, (I’m so Norwegian) this dip is pretty mild. Definitely feel free to add more heat if that’s what you prefer. 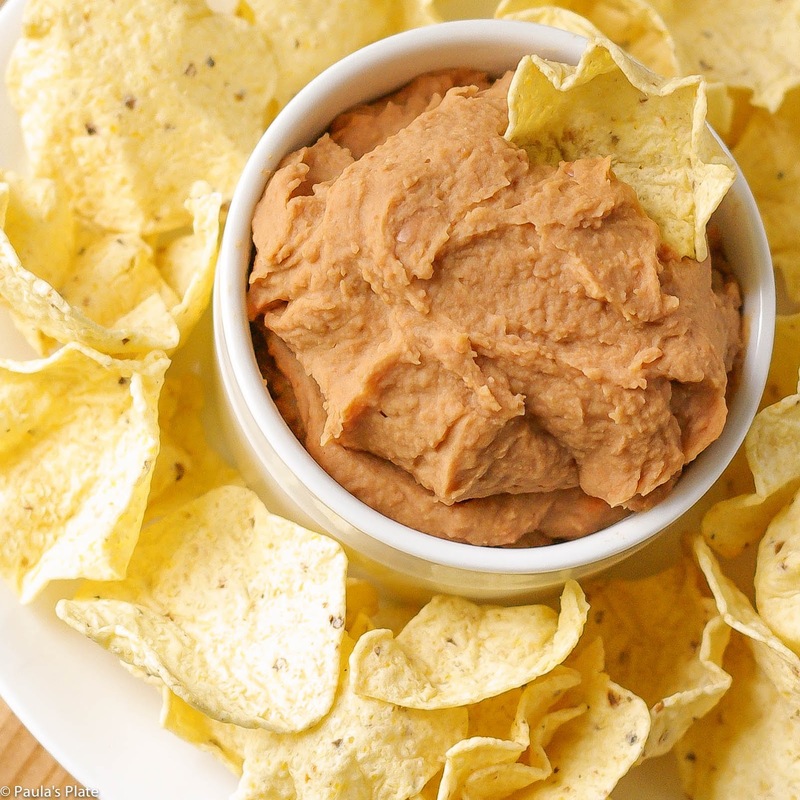 Do you have a favorite dip recipe? Let me know below! 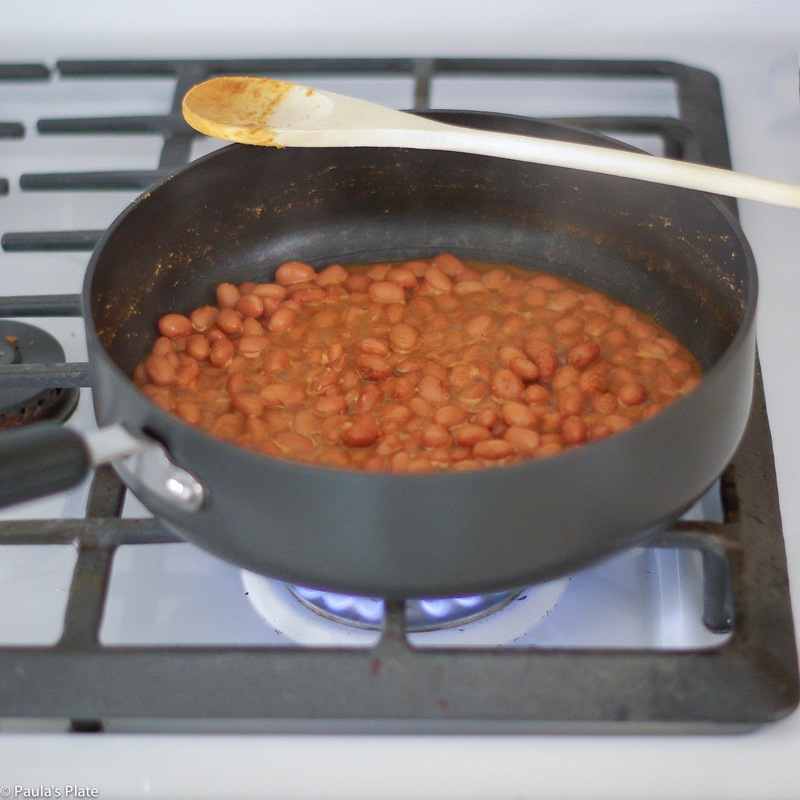 Combine all ingredients EXCEPT salsa in a skillet over medium heat. Simmer for about 5-7 minutes, or until most of the water is evaporated. 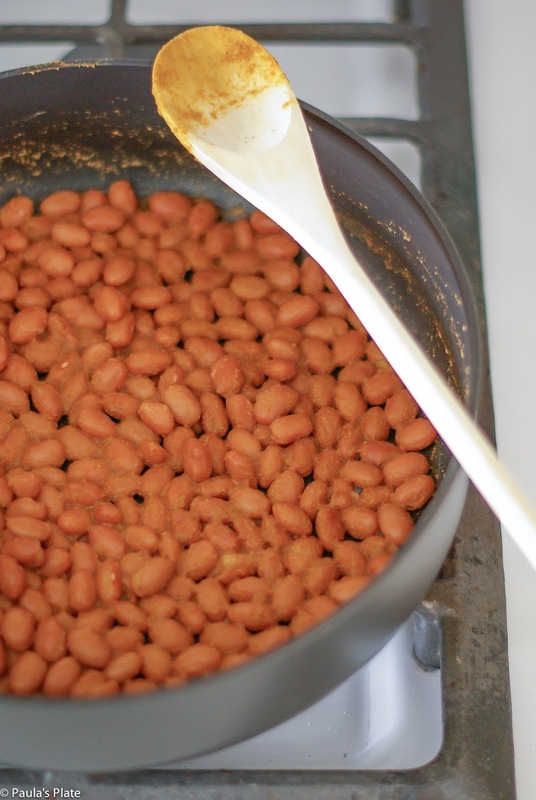 Transfer bean mixture to a high power blender/food processor. Either refrigerate until ready to eat, or scarf immediately; I usually choose the latter, though the flavors enhance if you have the patience to wait an hour or so.